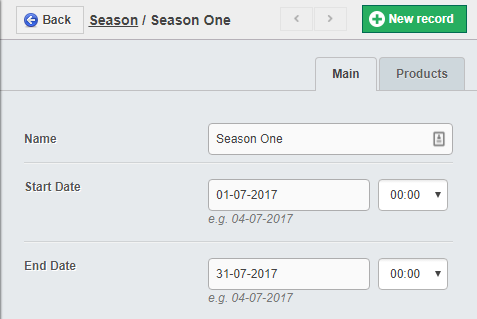 Within Booking Live, a Season defines a large period of time, which can be used to group Events together. A season can be any length of time, and you can have as many as you need. Use the search box to link in all Products that will be part of this Season. Once you have added all relevant products, click "Save and close"